The USC Alumni Association recognizes USC trustee and visionary real estate developer Rick Caruso ’80. Construction of Palisades Village in West Los Angeles started only a few months ago, but Rick Caruso ’80 is already walking through the site of the future retail, dining and residential property. Dubbed a retail mastermind by the Wall Street Journal, Caruso is credited for reinventing the mall as an entertainment destination and community gathering place. He is hands-on and likes walking the grounds of all of his developments as they take shape. Today, the USC trustee and alumnus has earned a place among the country’s highest-profile real estate developers. His company’s flagship shopping mecca in Los Angeles, The Grove, is ranked second on Fortune’s top 10 list of highest sales-generating shopping centers. In recognition of Caruso’s leadership in business and beyond, the USC Alumni Association will present him with this year’s Asa V. Call Alumni Achievement Award, the university’s greatest honor for an alumnus. When he’s recognized at the 84th Annual USC Alumni Awards on April 22 in Los Angeles, he’ll join the ranks of previous recipients including astronaut Neil Armstrong ’70 and opera singer Marilyn Horne ’53. Rick Caruso stands among this university’s most passionate supporters and plays a tremendous leadership role in our community. Caruso earned his bachelor’s degree from the USC Marshall School of Business and his law degree from Pepperdine University. Six years as an attorney convinced him that he belonged in business. He started his own real estate firm in 1992, growing it into one of the nation’s largest privately held real estate companies. But real estate is far from his only passion. He and his wife, Tina, founded the Caruso Family Foundation to support education and health care causes. And his three decades of civic leadership include serving as the youngest commissioner of the Los Angeles Department of Water and Power and president of the Los Angeles Police Commission. The Carusos’ involvement with USC spans nearly four decades. Their $25 million gift named the USC Tina and Rick Caruso Department of Otolaryngology—Head and Neck Surgery and funded research on hearing loss and related diseases. A previous gift of $10 million established the USC Caruso Catholic Center and Our Savior Parish Church. 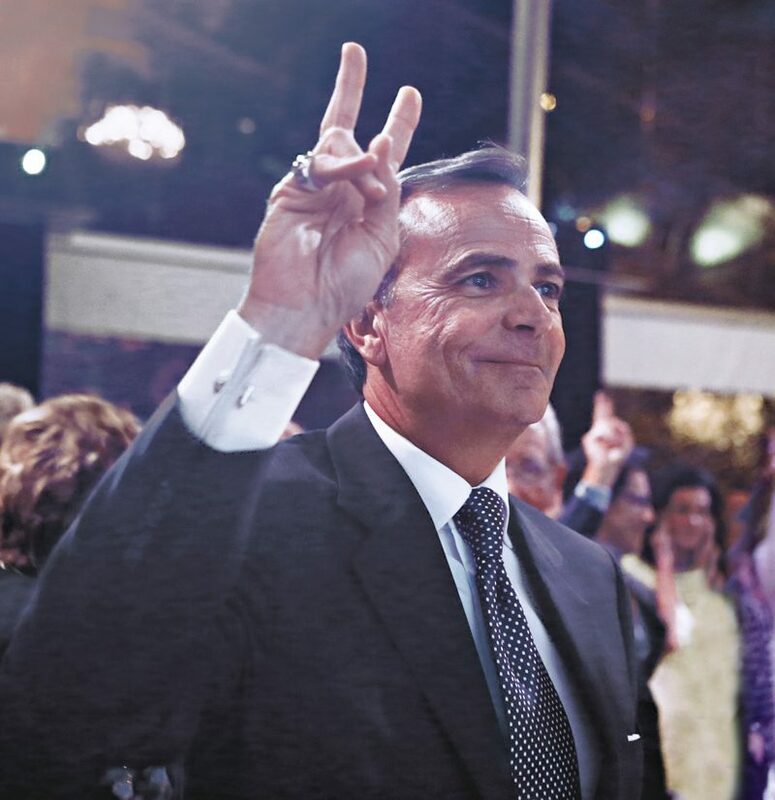 “Rick Caruso stands among this university’s most passionate supporters and plays a tremendous leadership role in our community,” USC President C. L. Max Nikias says. 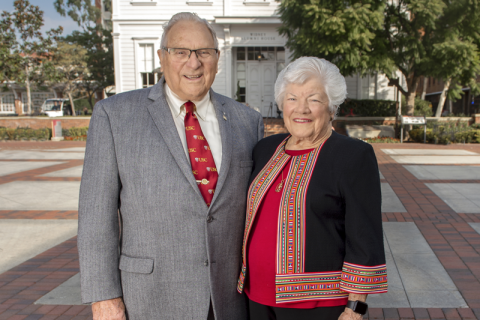 The Carusos’ generosity reflects their deep connections to both USC and its hometown. 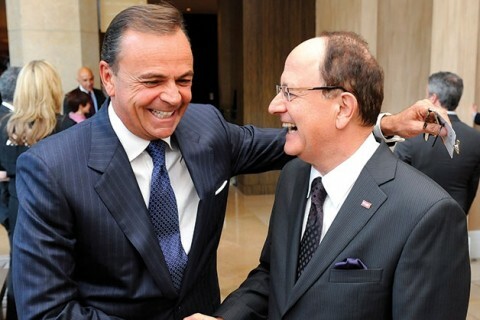 Caruso admits he was surprised—and humbled—when Nikias called to inform him of the Asa V. Call Award recognition. His gratitude for the honor goes straight back to the university that has given him a lifetime of memories. “USC helped shape the person I am today,” he says. The newly named USC Tina and Rick Caruso Department of Otolaryngology – Head and Neck Surgery helps children and adults experience the world of sound. 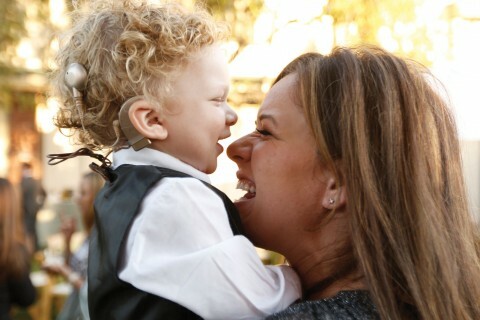 USC takes a giant step toward finding answers for hearing loss. USC has shaped their lives since they were children.